During the college basketball season there’s tons of guys that get lost in the sauce. Is it because people only get to see what they’re fed on ESPN highlights, or they play in the west coast. There’s tons of guys who ball all season long then people get shocked when a Thomas Walkup or Makai Mason goes for a 30 piece during the first weekend of the tournament and blows your bracket up. Not only for your bracket in March, but for the overall spirit of appreciating good basketball these are some guys that are PTP’ers that deserve some respect. 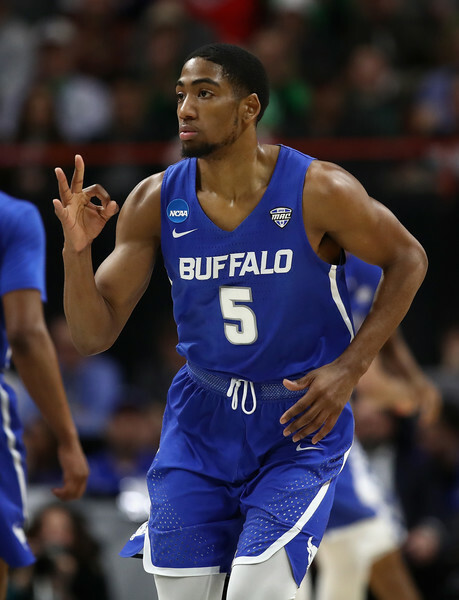 First, is my guy CJ Massinburg 6’3” combo guard for the University of Buffalo. CJ a junior from South Oak Cliff, Texas is ridiculously skilled. You may remember him from his 5 three pointer performance last year in a route over heavily favored Arizona last March. He has not only expanded his game this year he’s become must see tv. He notched his 2nd career triple double on 12/6 with 13 points, 13 rebounds, and 10 assists. So far from his sophomore to junior season he’s raised his pretty much every statistical category while becoming more efficient. He’s lead Buffalo to the schools first AP top 25 appearance. CJ is definitely a player who’s changing how you recognize the name on the front of the jersey. Another guy that has been out of his mind this year is Ja Morant a point guard out of Murray State. The uber athletic former 2 star recruit out of South Carolina is not only rising up draft boards he’s playing amazing basketball. Ja checks all the boxes in what u want from a player. His athleticism sets him apart from the competition, not only against the mid majors in the Ohio Valley Conference but against the Power 5 conferences. The sophomore was one of 3 freshman last year to record a triple double. And his performance against Alabama was one of the best all season he poured in 38 points, grabbed 9 rebounds and dished out 5 assists and had one of the nastiest dunks you’ll see all year. Morant is a guy you wanna get familiar with now because he’ll for sure be someone you’ll hear early in June at draft time. Lastly is a guy not from a small school but, a school that people rarely check for when talking college hoops. The school I’m talking about is Marquette and hoop heads know when I say Marquette this year, I’m talking about Markus Howard. The 5’11” guard is having a sensational season to say the least he’s already had two games of 45 points this season over quality ranked opponents in Kansas State and Buffalo. Howard has an amazing stroke from behind the ark shooting a crazy 42% from three while making close to 4 triples a game. He’s a straight up scorer going for 20+ is 9 times already this year. The Junior is having an All-American type season and he will look to improve upon it as conference play begins. Next Story → BIG STAR RECEIVES “2019 HOPE AWARD” for COMMUNITY SERVICE from ZETA PHI BETA SORORITY, INC.